To pay homage to Louisville's diverse Hispanic and Latino population, the Louisville Bats will play as Los Murciélagos de Louisville as part of a special three-day weekend celebration at Louisville Slugger Field sponsored by Intec Building Services. "As the largest Hispanic-owned business in the Louisville area, we are very excited to throw our support behind Los Murciélagos. Our Hispanic-American community plays a large role in the continued growth and vibrancy of Louisville, and this initiative by the Bats builds on that. All of us at Intec hope Copa de la Diversión becomes an annual event," said company President JC Vanegas. 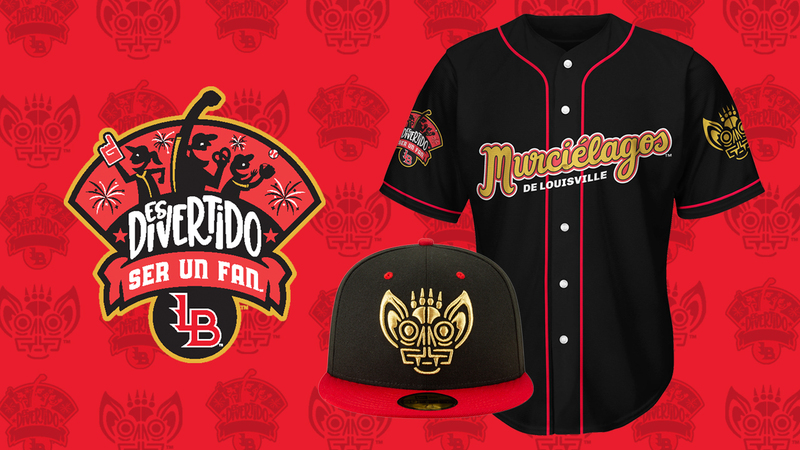 The name, which translates from Spanish as "the Bats of Louisville", is part of Minor League Baseball's Copa de la Diversión campaign, which celebrates MiLB communities' multi-cultural fans. Players will wear specialty jerseys and caps during the three games, and all marketing, branding, and in-stadium promotions each night will reflect the Los Murciélagos brand. "Copa de la Diversión," or "Fun Cup," is a season-long event series specifically designed to embrace the culture and values that resonate most with participating teams' local U.S. Hispanic/Latino communities. "The Copa de la Diversión brings together two things that are important to Louisville - a diverse, welcoming community and sports. Our city is strengthened by immigrants, and this event is another way to ensure that residents who've made Louisville their second home feel engaged in every aspect of the city, social, civic or otherwise," said Louisville Mayor Greg Fischer. Los Murciélagos will play three games in a weekend series against the Columbus Clippers, or "Los Veleros", or "sailboats", from Friday, June 28 through Sunday, June 30 at Louisville Slugger Field, with the teams facing off again at Huntington Park later in the season. For more information, visit https://www.milb.com/louisville/fans/copa.